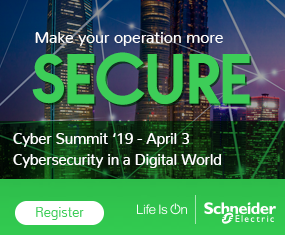 As cyber attacks get more sophisticated, costly and abundant, there is a continuing need to elevate security awareness to the same level as safety – ensuring not only a safe, but also a secure manufacturing environment, while increasing productivity, uptime and profitability. While security awareness is slowly growing, it suffers from an identity crisis at manufacturing facilities across the globe. Big, small or anything in between, there is a general lack of understanding for security best practices. Just look at some of the facts: Reported cyber attacks have grown by 600 percent since 2010. 600 percent. On top of that, the industry is losing around $400 billion a year in cyber attacks. There is no doubt cyber attacks are the most common and most costly attacks in industrial control systems. It is easy to get lost on the enormity of a security solution, but it doesn’t have to be that way. Yes, there are answers and it starts with technology. But technology ends up being a solid tool. In the end, people wield the power. That means security culture must be on a par with safety to effectively protect against cyber attacks. 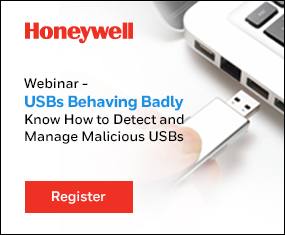 Join Honeywell Process Solutions’ Director of Cyber Security Solutions and Technology, Eric Knapp and ISSSource May 15 at 2 p.m. eastern time for a webinar that focuses on how to get security awareness on the same level as safety. Register here for Security Awareness: A Matter of Safety.